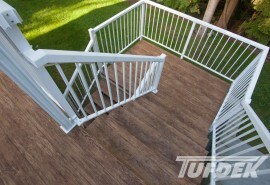 Tufdek™ is always looking for new ways to put its remarkable waterproof exterior deck flooring to use, and in this deck photo gallery below you’ll find a few photos of some unique waterproof decking installation examples. 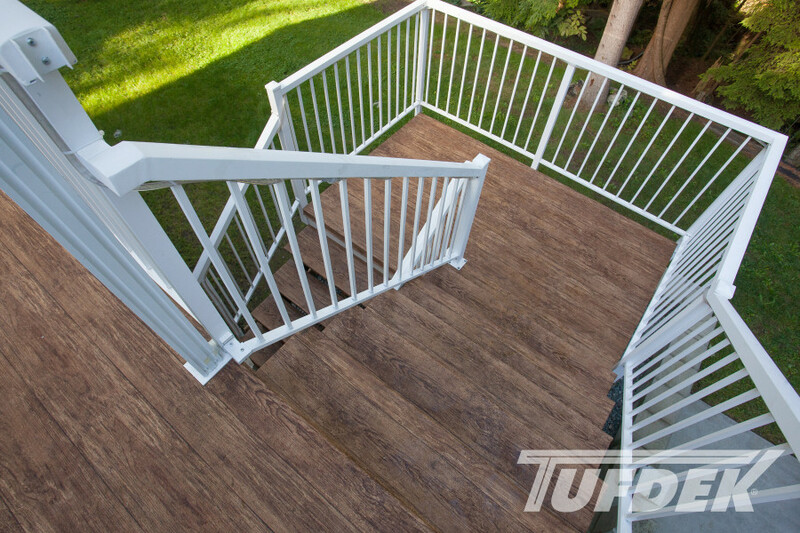 Tufdek waterproof decking can be used in a variety of applications, not only to provide roof-level protection to the underlying surface and building envelope, but also to improve and enhance the look of your home or commercial outdoor space. 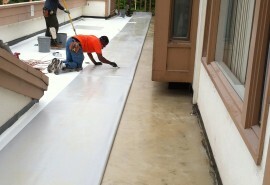 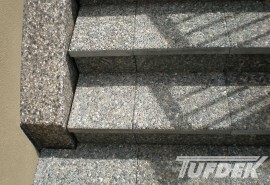 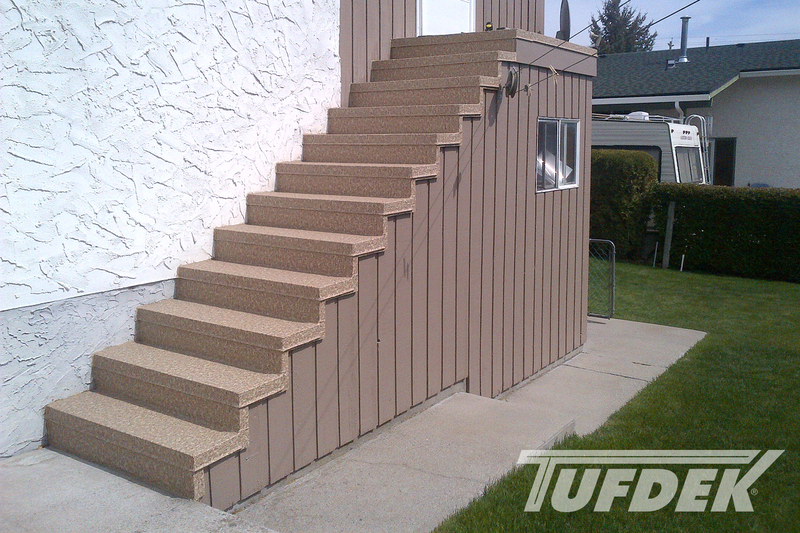 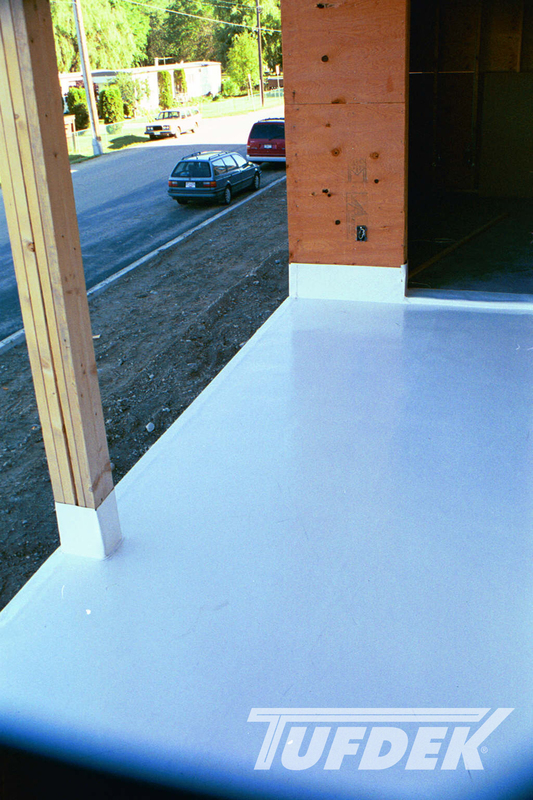 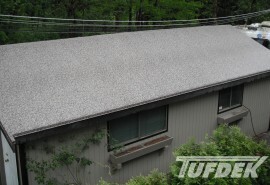 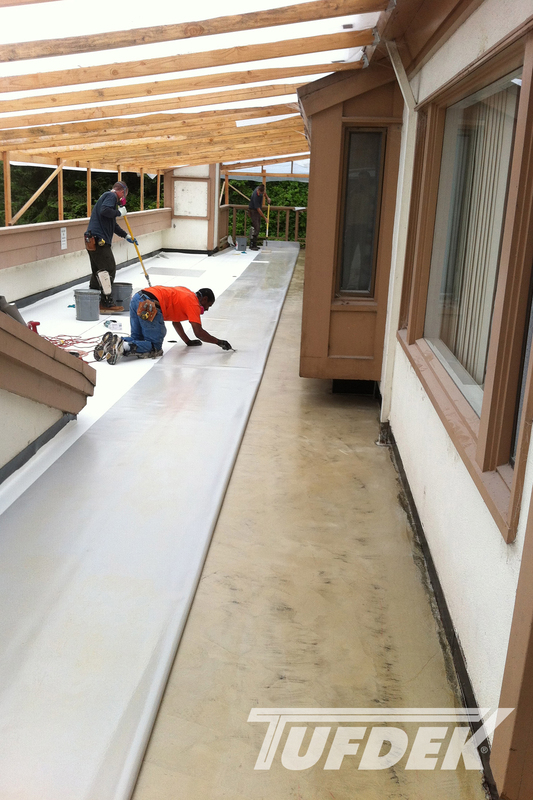 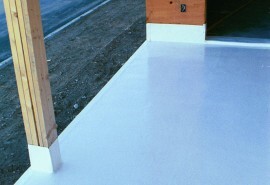 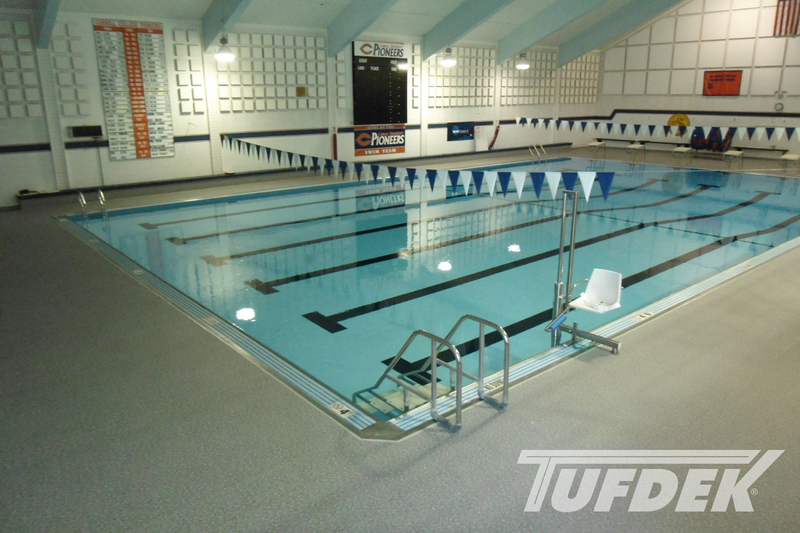 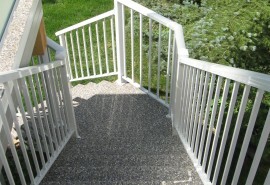 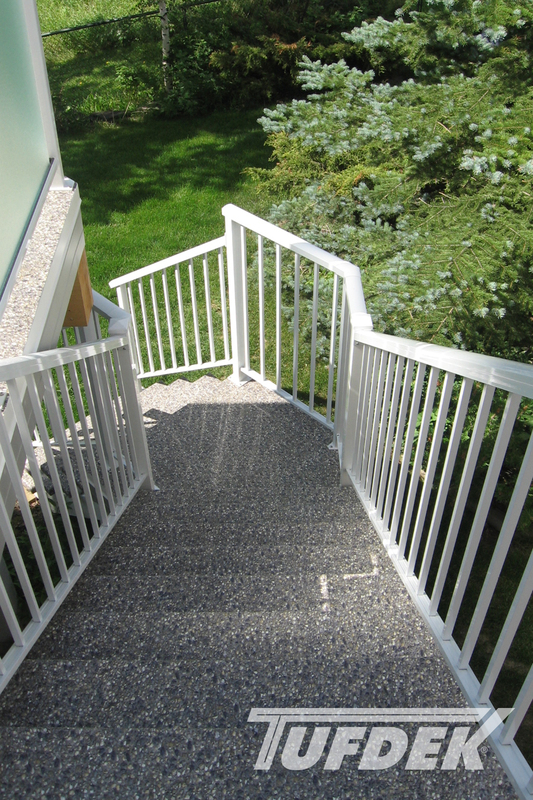 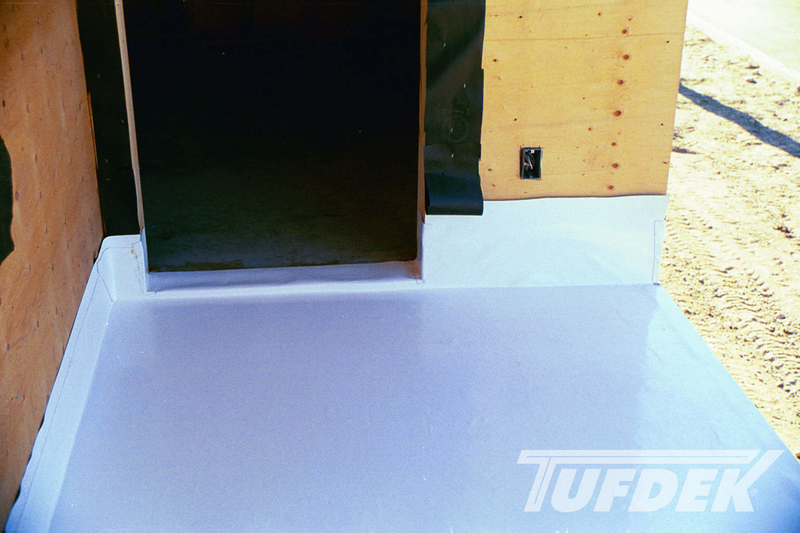 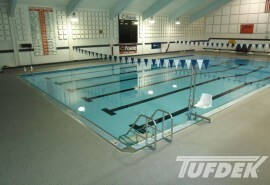 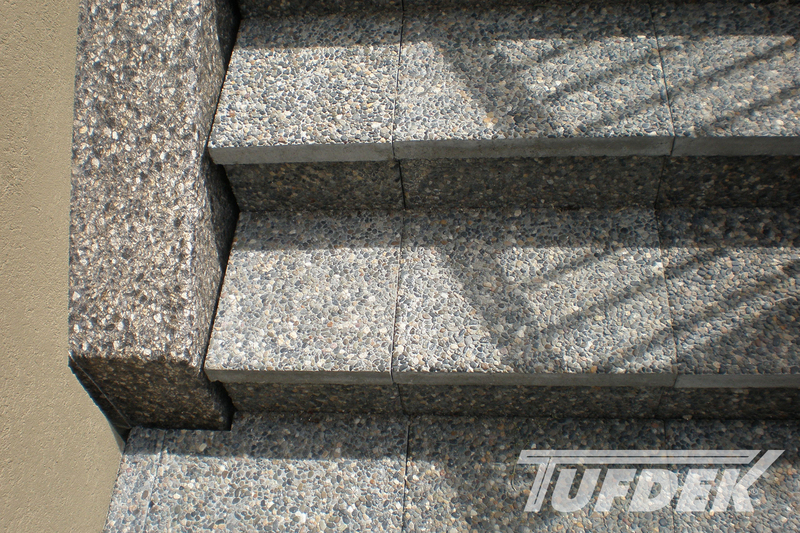 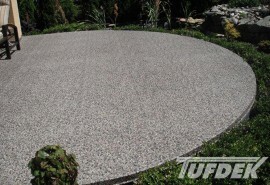 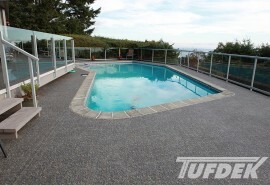 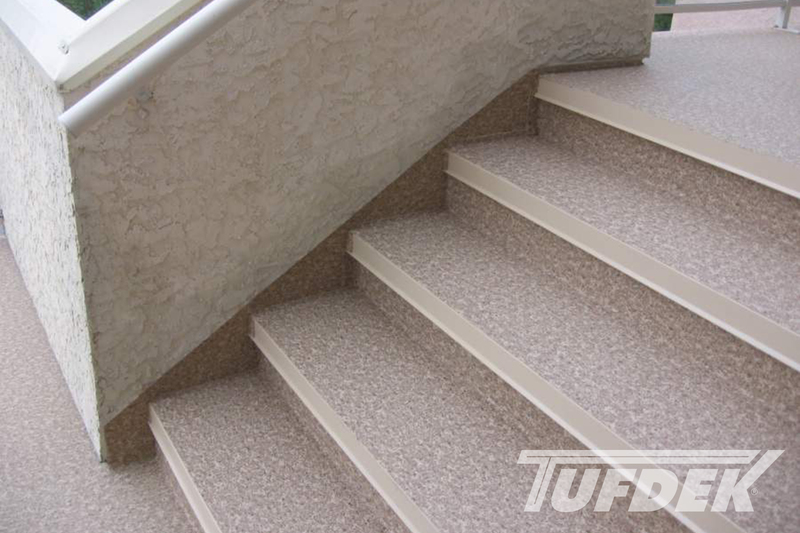 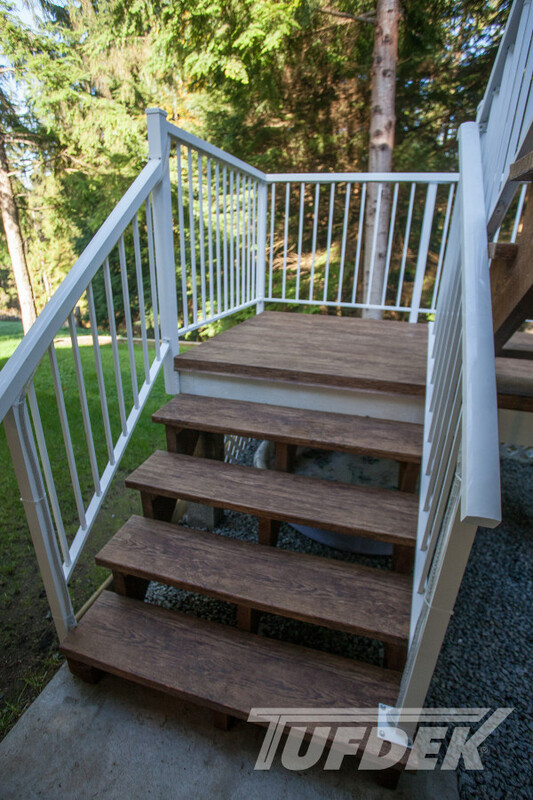 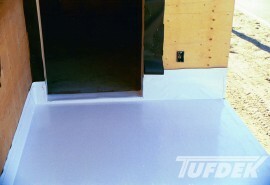 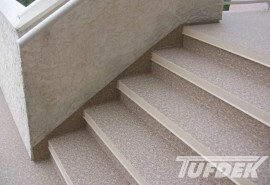 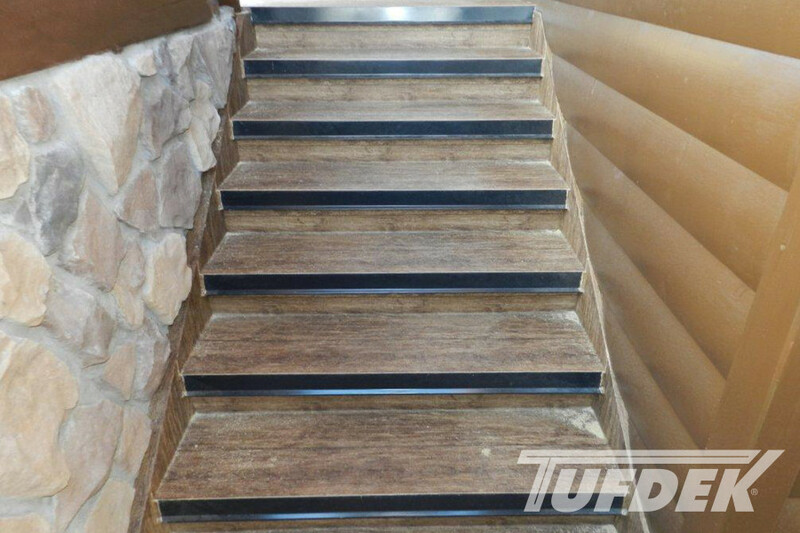 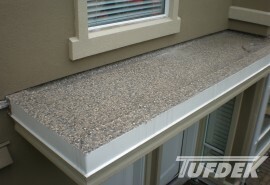 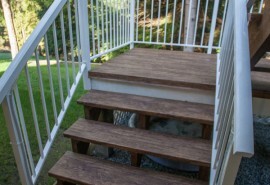 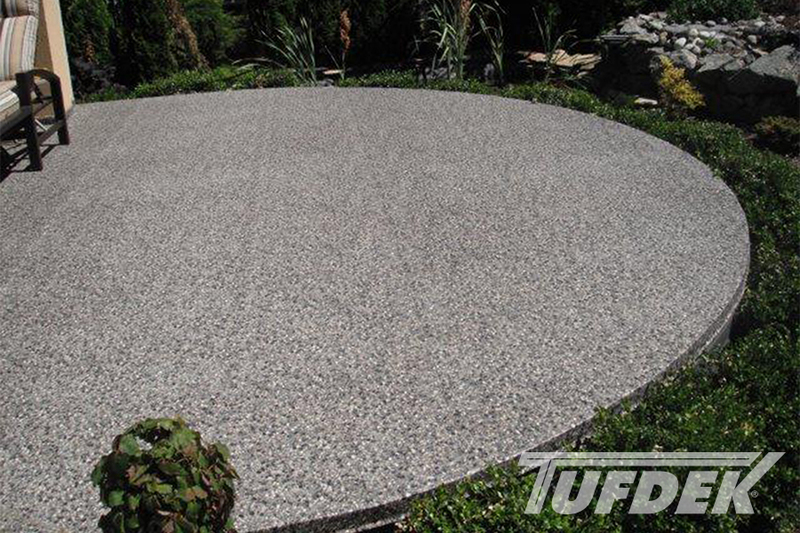 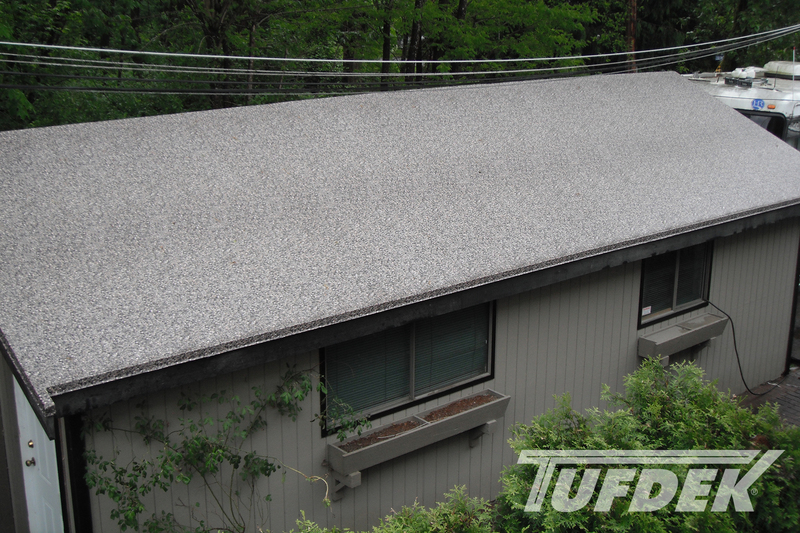 For example, Tufdek vinyl decking products can be used for waterproof roof deck systems, installed on staircases as a slip-resistant solution, used as commercial flooring, and even as a waterproof pool deck or garage roof! 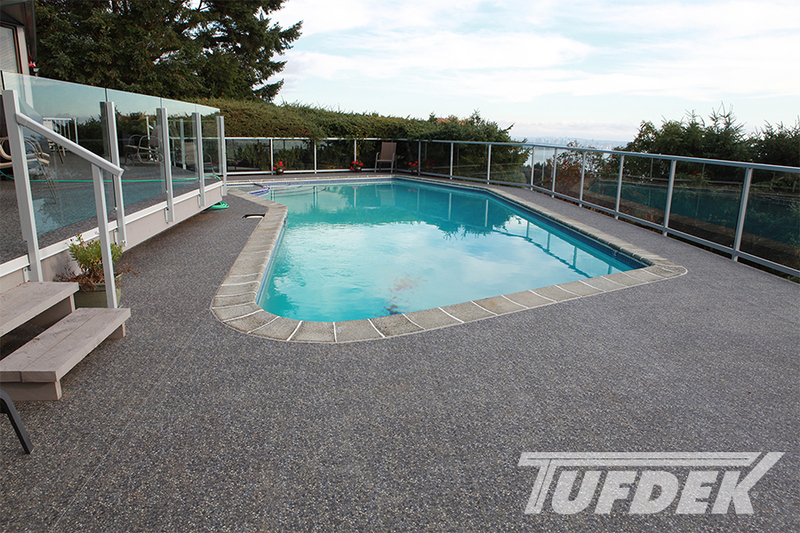 Anywhere you require waterproof deck protection over a flat surface, Tufdek vinyl decking membranes can deliver and will keep delivering for many years to come – so you have a worry-free, low maintenance deck flooring or roof deck covering that looks terrific as well.